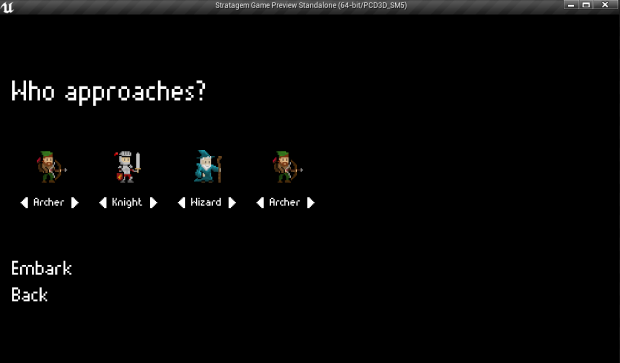 Stratagem is intended to be a challenging, rogue-lite strategy game where every move counts. The strategies and tactics you employ will determine if your party successfully claims the treasure they are searching for. Or if they will all die and you must try again with a new set of would-be adventurers. It's in your hands to select a compatible set of adventurers, and level their skills accordingly in order to let you wipe out whatever monsters of the dungeon stand between your adventurers and their treasure. This IndieDB page is the most detailed place to find out about the current state of the game and it's development, but check out the Resistor Games twitter account at @ResistorGG for the latest news and updates! You can also check out the Resistor Games website and Facebook Page. 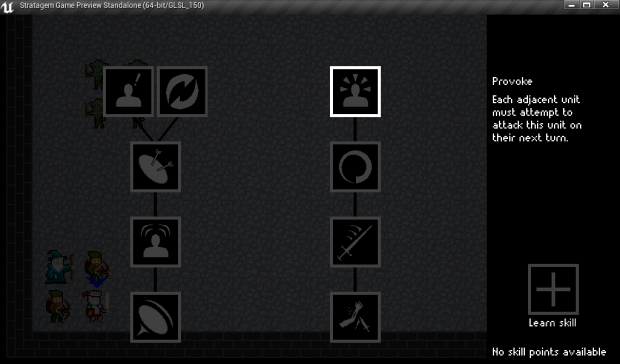 There are currently three planned unit types to choose from when you create your party: archer, knight, and wizard. Each one has unique stats and skills that allow them to assist the party in a variety of ways. 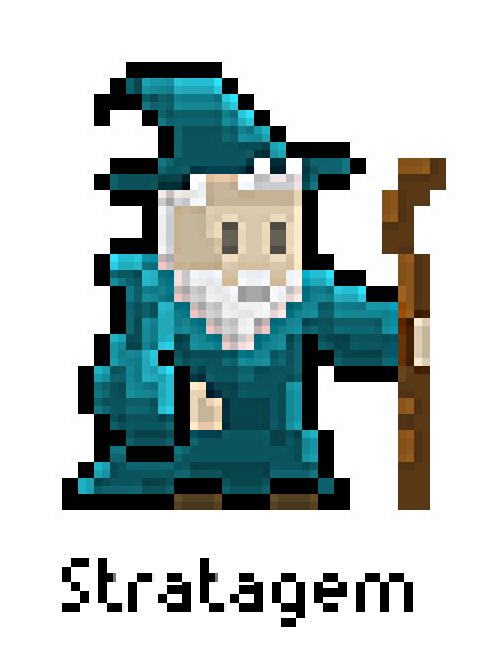 The wizard is a fragile, ranged unit who will destroy those in your way from afar with powerful magic spells! Be sure to protect your wizards well, or else they won't be with the party for long. The knight is a durable melee unit, useful for engaging enemies up close while your other units dish out damage from afar. 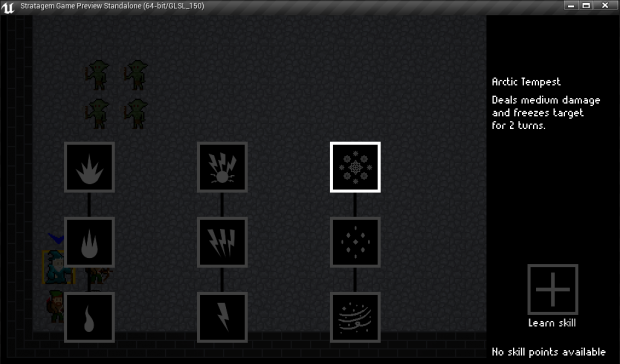 Knight's are also capable of outputting a decent amount of damage if you'd prefer to skill them that way though. The archer is a ranged unit with a versatile skill set that allow it to effectively support your other units in taking down enemies. 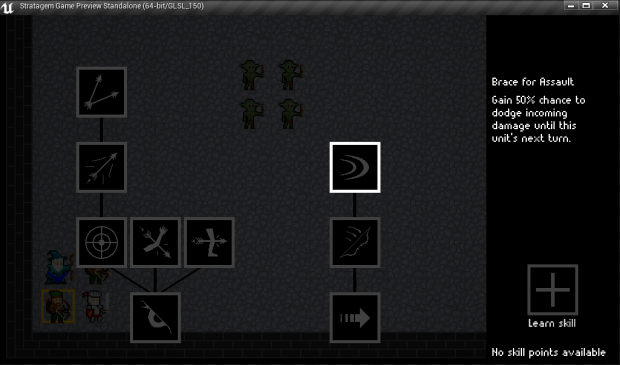 While the archer can survive close combat encounters, they will likely be more useful from afar. Stay tuned for updates as development is ongoing! To promote Stratagem and grow its popularity (top games), use the embed code provided on your homepage, blog, forums and elsewhere you desire. Or try our widget.